ONE VOICE CAN MAKE A DIFFERENCE! ALL OUR VOICES TOGETHER CAN MAKE A GREATER DIFFERENCE! 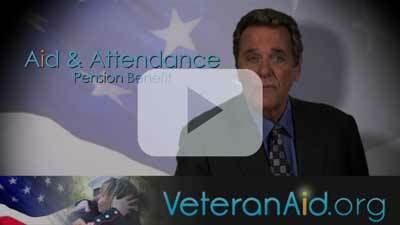 What do you know about the VA Aid and Attendance (A&A) pension benefit? Millions of veterans have earned this benefit and it can help them and their families pay for senior care they might not otherwise be able to afford—but many people don’t know about it. When families do find out about Aid and Attendance they sometimes find the VA’s eligibility requirements and application process confusing and difficult. Some mistakenly think the program is only for combat veterans. Others don’t realize their loved one served during a qualifying time of war because the VA definition of wartimes extends beyond the dates of conflict. Recipients don’t need to be impoverished to qualify for A&A either. The VA doesn’t include the value of your home, car or personal effects when it reviews assets and income for eligibility. Are Aid and Attendance benefits worth the effort to apply? In many cases, the answer is yes! As of December 2018 a single veteran who qualifies for A&A can receive up to $1,881 per month, a married vet can receive up to $2,230 per month, and a surviving spouse can receive up to $1,209 per month to pay for needed care at home, in an assisted living community or in a nursing home. For many families paying for senior care this income can make the difference between comfort and hardship. As part of the A Place for Mom family of senior care resource websites we can also help you find reviews, rates and availability at care communities near you. Find out now if you or your loved one may qualify for Aid and Attendance. Learn more about assisted living costs and services.